This original oil painting “Dark Morning” is of a view in Maine. 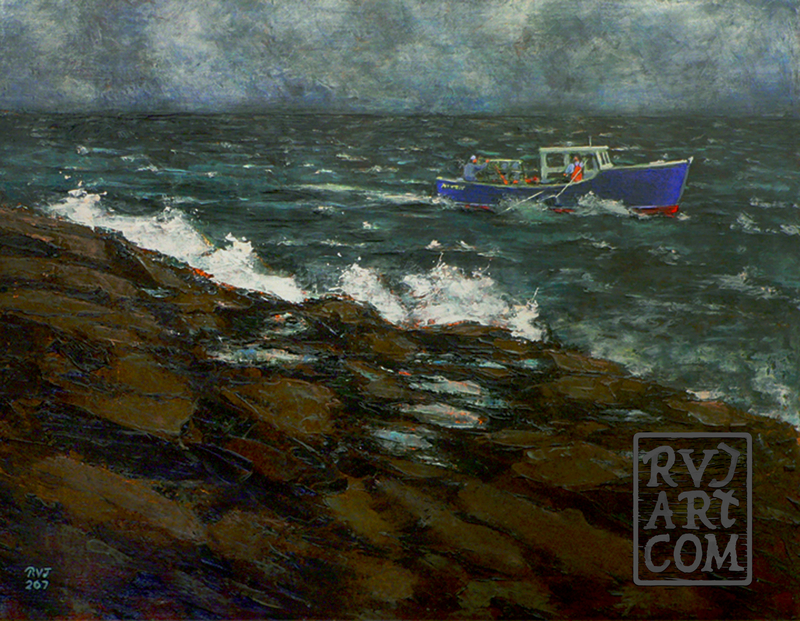 I caught this lobster boat at work off of Two Lights State Park in Maine one cold dark stormy morning. It was a surprise to see them working so close to the rocky shore and paying no heed to it. Between now and Christmas you can bid on 12 different paintings as gifts for yourself or a loved one. The auctions will last 3 days each with a different painting every day. Low reserve bids! Become a collector or add to your collection. Talk about cheap art! Click on this link to see all of the paintings and go to the auction site.